There’s no doubt about it, a vice-like grip for BJJ is definitely an advantage. Not only does it help you control your opponent, it also opens many avenues for transitions as well, by ensuring that you are in a stable position. There is a popular misconception that grip strength is just hand strength, when in fact, the grip involves everything from the muscles near your elbow to your fingertips. Think about it, when you face an opponent with iron grips, how often are you able to escape or even win the match? In fact, you’ll notice in many competitions that competitors will start the match fighting for grips. They know that whoever has the stronger grip and a more extensive knowledge of grips has a greater chance of winning the fight. This is the force your hand can make when closing a fist. This kind of strength usually comes into play when you are trying to grab ahold of your opponent’s gi to take him down or establish your guard. Once the grip is established, this is when this strength is used. Static grip strength is how much the hand can hold in a grip before the resistance is torn from the finger’s grasp. This is also the same kind of strength you use when you are holding a barbell for a deadlift. 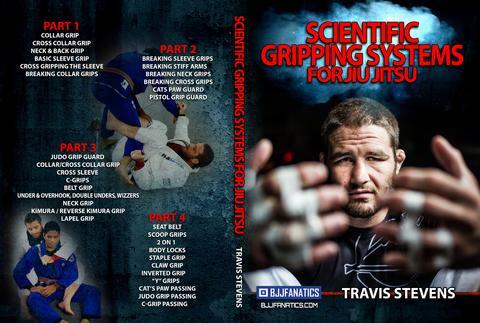 The post Game Changing Grip Retention Tip appeared first on Bjj Eastern Europe.